David Jamieson of Asia Pacific Superyachts Fiji, superyacht captain, dive master and Fiji resident of more than 10 years, has been appointed to manage Fiji operations for Superyacht Private Expeditions (SPE). In response to increasing demand, SPE, specialists in bespoke international dive adventures, are proud to announce the launch of their Fiji arm with offices in Marina Denarau to service the region’s stunning underwater playground. 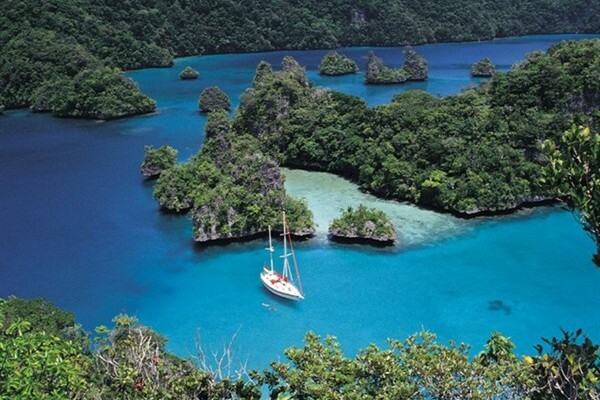 Building on the success of Tahiti Private Expeditions (TPE) owners Christelle and Rodolphe Holler developed SPE a few years ago to satisfy the expectations of high profile superyacht clients wanting to explore new grounds in the Pacific and South-East Asia with trusted dive experts. “Combining significant dive experience, extensive local knowledge and contacts with the drive to create outstanding tailored experiences for our clients make David and his team the natural choice” says Christelle Holler. Jamieson first arrived in Fiji as captain of the 30m classic yacht S/Y Aile Blanche in 1999 and has owned and operated his own Superyacht shore support agency, Asia Pacific Superyachts Fiji (previously Yacht Help Fiji) for the last 13 years. This gives him a unique insight into the wants, needs and expectations of today’s superyacht owner both onshore and off. Asia Pacific Superyachts (APS) Fiji has joined Superyacht Private Expeditions (SPE) as a partner in providing the best diving experience in Fiji for visiting superyachts. “I’m excited to share my expertise and enthusiasm for diving in Fiji. Although Fiji benefits from strong tourism only 110 of the 332 islands are inhabited. Most of these islands are of volcanic origin and feature great sheltered anchorages for superyachts. Few yachts go there so you feel like you are the first ones to explore the area; notably with a custom itinerary tailored to each guest’s experience and interests whether the group is experienced, complete beginners or includes children. The ongoing project of turning the Vatu-i-ra area into a Marine protected area means there is even more dive excitement coming up in Fiji” says Jamieson. Fiji has tropical weather patterns similar to Tahiti but both offer two entirely contrasting and unique experiences. Fiji is abound with a profusion of thousands of small colorful fish, shark encounters aplenty and abundant magical soft coral whilst Tahiti is known for thrilling drift dives, brushes with dolphins, manta rays and humpback whales amidst expansive coral reefs. Superyachts also have the advantage of high quality care and service while in Tahiti from the APS Tahiti team led by Etienne Boutin. This makes Fiji the natural next step on from Tahiti in a journey through the Pacific particularly at a time where Fiji is developing a marine protected area.